Every year around the 6thof June is MangZhong (the 9th solar term). From this point onwards, we enter the second phase of summer, Midsummer. During this time, the yang qi between the sky and the earth is most prosperous and people are also at the peak of their growing capabilities. Our new cells will grow very fast. This is also a great time for us to repair our aging bodies and to delay the aging process. Take good care of your heart during the summer as this helps to speed up your metabolism. At the same time, cherries, known as a “heart care fruit”, are in season. Practitioners of Chinese medicine believe that the cherry is great for both your heart and blood. Some Western nutritionists also refer to the cherry as the aspiring of the heart. Aspirin has an antithrombotic effect and can be used to treat cardiovascular diseases. It can also cause people to sweat, and long-term usage is therefore likely to cause a deficiency of the body’s yin. Compared with aspirin, cherries are even better. They not only warm the heart, but also benefit your blood. They help your body to produce more blood and also give your blood more energy. It is rich in iron which is very helpful for iron deficiency-based anemia. In addition to eating cherries, you could also make cherry egg soup or cherry wine. These help to regulate different physical conditions. Method:Wash the cherries with salt water for 10 minutes and remove the stem. Put fresh water in the pot, add the cherries and a few spoons of sweet rice wine, and cook for a few minutes on a high heat. Pour the eggs into the pan and beat them until they become egg flower, then turn off the heat. Effect: replenishes the blood, moisturizes the skin, conditions the body’s weaknesses and improves sleep. Method: Wash the cherries with salt water, put them in a clean glass bottle, pour in the white wine, cover it, wait for 10 days or longer and then enjoy! Effect:Condition rheumatism, lower back pain and numbness of limbs. By the way, not everyone is suited to eating cherries, because cherries have heating properties, and those who suffer from excessive internal heat and cough frequently should not eatn many cherries. Eating too many cherries can easily lead to excessive internal heat. Please eat them in moderation! Hanging wormwood is also a midsummer tradition. People think that wormwood can ward off evil and protect the peace. It has volatile medicinal ingredients that emit strong aromas which can sterilize the environment, prevent insect infestations, and purify the air. In Chinese medicine, wormwood is a pure yang plant. Moxibustion can open up the meridians and remove the body’s “cold” and “dampness”. Using wormwood to boil water can also help to remove the “cold” and “dampness” of the lower jiao. Summer is a period in which there are many pest infestations and many diseases are spread. The ancient Chinese people use sachets to prevent epidemics. Putting a variety of aromatic herbs into sachets allows the strong aroma of the drugs to stimulate the body’s nasal mucosa which produces antibodies to help improve our resistance to diseases. This helps us to fight against colds, rhinitis, a variety of respiratory infections, and can also prevent mosquito bites. Ingredients:dried tangerine peel, cloves (an aromatic flower bud used in Chinese medicine which comes from a tree in the Myrtaceae family), shan’ai (a Chinese medicine）, moxa, cotton cloth and thread which is prepared in accordance with a ratio of 1:1. Method:Use the materials above to make a small sachet and place the items inside it as you like. It can be placed in your pocket, hung on the edge of your bed or in your car. If you carry it around often, you need to change the moxa and tangerine peel every month. Every year on the 21stor 22ndof June, we enter the summer solstice (the 10thsolar term). This divides summer into two parts. From the summer solstice onwards, it is important to pay attention to nourishing the Yin of our hearts. Insufficient heart Yin can cause serious irritations, insomnia, hot flushes, palpitations and heart disease. Mulberry is good at nourishing your heart Yin. Eating it in summer is very helpful for fighting palpitations and insomnia. It can also help to delay aging. However, the period in which you can eat fresh mulberries in a year is very short. You can buy a lot during this period as they are on sale everywhere in large quantities. You can therefore make mulberry jam in bulk, save it and then eat it slowly throughout the year. Method:Beat the mulberry into a juice, put it in a pot and make it thick by heating it on a low heat, add the brown sugar and stir until the brown sugar has completely melted and then turn off the heat. Put the mulberry jam in a clean glass jar, refrigerate, and eat two spoonfuls per day. Effect: nourishes the Yin of the body, anti-aging effect, helps to reduce palpitations, insomnia, dizziness, tinnitus and menopausal syndrome, also leads to less whiteheads. Did the summer heat make you feel uncomfortable? Use seasonal ingredients to recover! 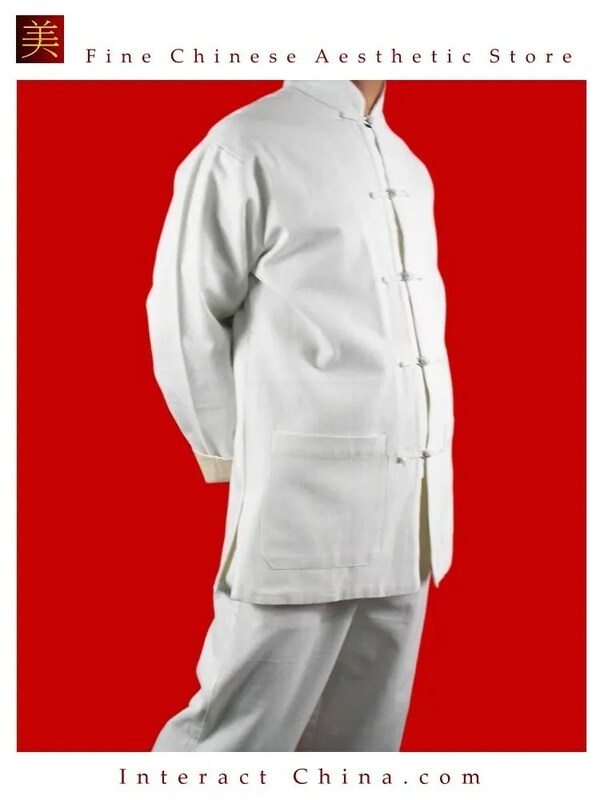 Qigong is one part of Chinese culture; Health Qigong is a traditional national sport that regulates one’s mind, body movements, and breathing. The Eight Silken movements are the most popular form of Health Qigong. The Eight SilkenMovements appear at first to be a simple set of eight movements, but you have to pay attention to every detail to gain the benefits of this type of health Qigong. So let’s start with the warm-up! Stand upright, relax your arms and look straight in front of you. Step to the left with your left foot so that your feet are shoulder width apart; rotate your arms inwards and then raise them, so they are straight in front of you in line with your hips; your palms should be facing down and away from your body. Bend your knees slightly and rotate your elbows and the back of your arm outwards; hold your arms in front your stomach; palms facing towards you, keep 10-centimeters distance between the fingertips of both hands, your eyes should look straight ahead. Tips: lift up your head, pull in your chin, touch your palate with the tip of your tongue, slightly close your lips, sink your shoulders, leave more space underneath your armpits, relax your chest and stomach, drop your tailbone and straighten your upper body. When you hold your arms in front of your stomach, your thumbs should not point upwards; and the rest of your fingers should not point to the ground. Do not lean your upper body forwards and do not tilt your tailbone up. Don’t push your knees too forward. Your feet should be parallel. This warm-up helps you to relax, regulate your breathing, appease your internal organs, and straighten your body. It prepares you mentally and physically for the following exercises. “Hold up your hands and adjust your three Jiao” is the first section of the Eight Silken Movements. The three Jiao refer to the upper, middle and lower Jiao. The Upper Jiao refers to the body part above the thoracic diaphragm which includes the lungs and the heart;the Middle Jiao refers to the area that lies below the thoracic diaphragm and above the belly button, including the spleen and the stomach; The Lower Jiao refers to the area found below the belly button including the liver, kidneys, intestines and bladder. Cross your arms in front of your lower body and lift them upwards so they are crossed in front of your upper body keep extending your arms to relax the three Jiao and your internal systems which will help to harmonize your Qi and blood.It accelerates the metabolic rates of your organs and prevents them from sinking. Through stretching, your body and joints will increase inflexibility and shoulder pain and cervical spondylosis will be prevented. Move your hands downwards in front of your body with your palms facing upwards,joining your hands together, fingers crossed with each other. Look straight ahead. Straighten your knees, raise your hands to chest-level, raise your arms over your head while keeping your palms facing upwards, lift your head and look towards your palms. Raise your palms until your arms are straight, tuck in your chin, look straight ahead, hold this position. One repetition includes one complete movement upwards and downwards. Repeat the complete movement 6 times. Tips: While you raise your arms upwards, you have to stretch your body and pause for a short period. When lowering your arms, relax your waist and drop your hips. When sinking your shoulders, relax your wrists and fingers and straighten your body. When you look towards your palms, make sure you lift your head completely. Do not relax your arms when you raise them. This movement is similar to stretching in general, so when you take a break from work, you can stand up and complete this exercise in a short space of time. In the next blog, I will introduce you to the second and third stages of the Eight Silken Movements – “Stretch out on both sides as if shooting a bow and arrow” and “Life up your arms to heal your spleen and stomach.” For all health lovers, please follow my blog posts for more information. The Upper Jiao refers to the body part above the thoracic diaphragm which includes the lungs and the heart;the Middle Jiao refers to the area that lies below the thoracic diaphragm and above the belly button, including the spleen and the stomach; The Lower Jiao refers to the area found below the belly button including the liver, kidneys, intestines, and bladder. For the past several weeks, Milan has finally been enjoying an uninterrupted sunny summer. What is your city like? Just know that the season of the year which best helps delay aging and get rid of disease is right around the corner! By making some small changes we can considerably boost our physical fitness. Let’s do it together! The word “summer” means “big” in ancient China. This is because summer is the season in which all things grow, including the human body! Sufficient yang1 during summer helps to stimulate various growth functions in your body. Sufficient sunlight can, for example, provide our body with enough Vitamin D. It can help to maintain bone health, regulate the body’s immune system, and it can also help to prevent diabetes and Alzheimer’s disease. At the same time, summer yang can speed up the body’s metabolism, enabling newly generated cells to repair aging bodies and improving bodily functions which have begun to slow down. Summer is also the season in which the most physical energy is exhausted. The same with qi and blood2. Summer yang brings both qi and blood to just below the surface of the body’s skin and leads to a relative paucity of these two substances in the body. Therefore, it is necessary to get enough sleep during the summer months so that you can make sure enough qi and blood get back into the body and strengthen your organs. yang1：In traditional Chinese medicine, yang is the driving force behind the body’s metabolism and physiological functions, and it is a determinant of human reproduction, growth, development, aging, and death. qi and blood2：Qi and blood are the two basic types of substance in the human body. They play an important role in daily human activities. Qi plays a role in promoting the regulation and control of the human body.Blood has a supportive effect on the human body. The five elements of Chinese medicine believe that of the four seasons, summer is a “fire”, and of the organs, the “heart system” which is composed of the heart and the small intestine is also a “fire”. This means that summer is the most prosperous season of “heart-fire”. This kind of “fire” in the body can bring warmth to the body as well as converting food into nutrients which are absorbed by the body and then used in order to provide power for growth. However, during the hot summer months, our “heart-fire” can be prone to overheating. At this time, you may find that your tongue is sore and your urine is yellow. You may also feel regular discomfort and have insomnia. So, how should we condition our heart-fire？In Chinese medicine, every day from 11:00 to 13:00 is the time for heart meridian circulation. If we find the time to sit and rest for a few minutes during these hours, we can assure that our heart is nursed back to good health. During these hours, try to sit in a chair, straighten your back, place the palm of your hands on your legs, close your eyes, relax, and take a deep breath. Staying quiet for a few minutes will refresh you. During the summer, our pores are open more frequently. This allows external evils to enter and invade our body. Pungent tasting food helps to eliminate these evils from the surface and prevent them from entering the body. Pungent food also has the same effect as diaphoresis and eating pungent tasting foods in summer helps the body to radiate heat. The qi and blood remain very close to the surface of the human body during summer. Therefore, the spleen and stomach are relatively cold. So, when cooking, add more green onions, ginger, garlic, peppers etc. As well as being more appetizing, this helps to improve the functionality of both the spleen and stomach. Taking advantage of this period of high metabolic rates can also help us to eliminate some of the “cold” and “damp” which has accumulated in the body during winter. It can also help to alleviate respiratory diseases to which we are particularly prone in the colder, winter months. Of course, eating too much cold food and excessive reliance on air-conditioning will put a huge burden on our spleens and stomach. It will also hinder the elimination of pathogenic diseases in our bodies. The health of our skin is an extension of the health of our internal organs, and we can tell by examining skin diseases if our internal organs need to be repaired. As the body’s yang qi floats on the surface of the body during summer, problems within the body are often reflected in the health of our skin. For example, the “cold” and “damp” found in the body can cause sweat sores. If the “cold” and “damp” are not removed in time, it will lead to the appearance of sweat spots and eczema. If you happen to be affected by skin discomfort during summer, you should think about how you could take advantage of your available summer energy in order to help cleanse your body. In the next article, I will introduce some health tips related to each solar term. I hope you enjoyed this article and come back regularly to read the rest of the series! Around two years ago, probably due to how unlucky my animal year is (just kidding haha) 1, the state of my mental and physical health started to go downhill. I therefore started paying more attention to self-care and gradually developed a great interest in traditional Chinese medicine. Every time I go to my doctor for further advice, she always mentions the Eight Silken Movements, which are easy for both the elderly and children. They have slowly become part of my morning routine and are now the first thing I do after waking up. I would now like to introduce the sequence to you. I hope that more people can benefit from these movements! The Eight Silken Movements or the Eight-Section Brocade, like the Five Animal exercises and Taichi Chuan, is a popular kind of physical exercise in China. 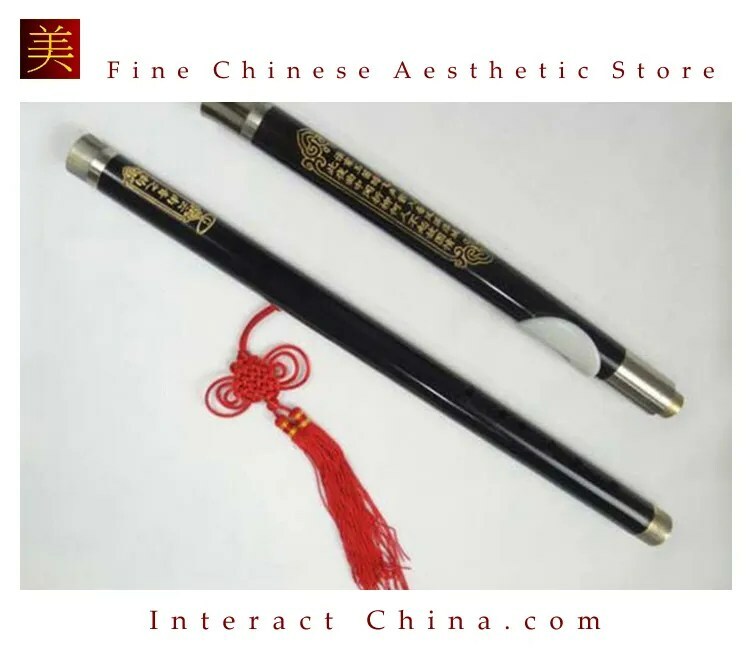 It has a long history and is widely known throughout China. The first records of the movements date back to the Northern Song dynasty and are now more than 800 years old. A “Jin” (Brocade) (锦jin3) is a high-quality silk product which is woven using multi-colored silk. For the ancient people, brocades represented the colors of the rainbow, beauty and elegance. These symbolic meanings perfectly embody the characteristics of the set of movements which contains delicate arrangements, smooth motions, help to prevent illness and strengthen the body. As a callisthenic exercise, you do not need any equipment or have to be in any specific location in order to do the workout. Efficiency; the entire sequence of movements lasts about 10 minutes and is only practiced once every morning and night. The postures help to improve flexibility and are simple, making them suitable for people of all ages. Full-body workout; the movements in combination with the regulated breathing exercises take care of the body, both inside and out. The Eight Silken Movements provide a full-body workout for both muscles and bones. The movements stretch the muscles and increase your internal strength, namely increasing flexibility and suppleness. What is internal strength? It is a kind of force that can be easily directed and controlled. It is stored within and does not manifest itself externally. Internal strength is holistic, flows through the body, and is found throughout the body in equal measures, as is fully described by the saying, “iron covered by cotton, hardness hidden in softness”. There is a fundamental difference between internal strength and physical strength. Physical strength comes from our muscles and is gained through the kinds of exercises you would normally do while working out at the gym. This kind of muscular strength easily deteriorates once you reach the age of 60. But if you have strong bones and muscles, you can live well into your 80s or 90s and still have an outstanding physique and good posture. One’s temperament decides the quality of one’s internal strength. Having a good temperament leads to the development of an easy-going, generous, joyful and peaceful internal force. Exercising internal strength requires us to put muscular force to the back of our minds, clear our minds of all distractions and to concentrate on our inner-most feelings. Long-term benefits of practicing the Eight Silken Movements include improving your skin, building your ligament strength, and increasing joint flexibility. Over time, the entire body becomes supple, and Qi cleanses the mind, body and soul. Excluding the aforementioned advantages, the Eight Silken Movements also improve the nervous system and circulation, as well as your immune system. During the exercise the internal organs are gently massaged which can help to improve vascular congestion and reduce blood pressure. The Eight Silken Movements rely on deep breathing, which can slow down your heart rate and improve blood circulation. In the long run, it can help to reduce cardiac output and increase lung capacity. 1 Usually, one is supposed to have much luck in his animal year, but the opposite is sometimes true. Animal year refers to the recurrent year of one’s animal sign in the twelve-year cycle. 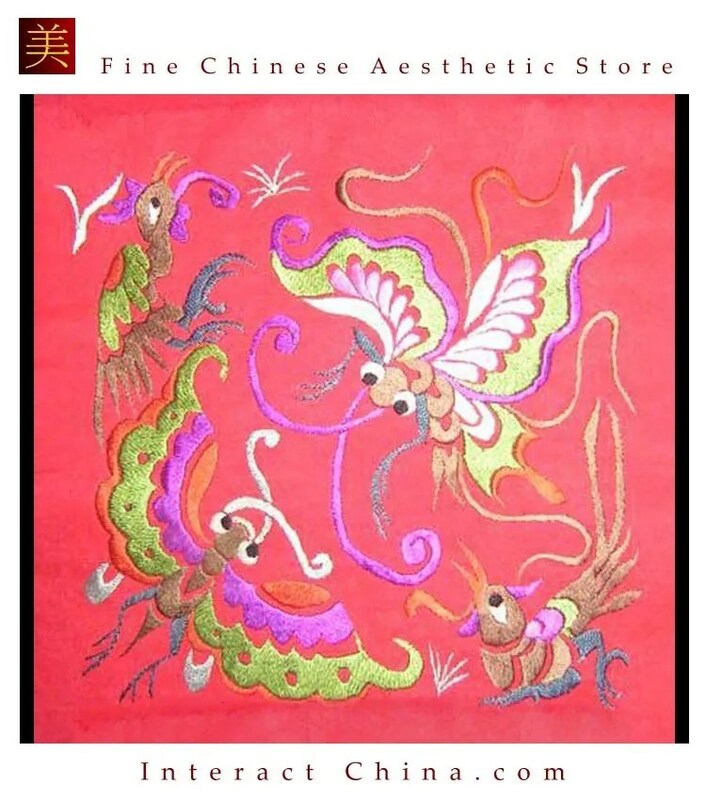 Silk padded applique embroidery is a decorative pattern made of fabrics. It is produced through a series of steps including embossing, weaving, embroidering, stitching, appliqueing, and silk-drawing. 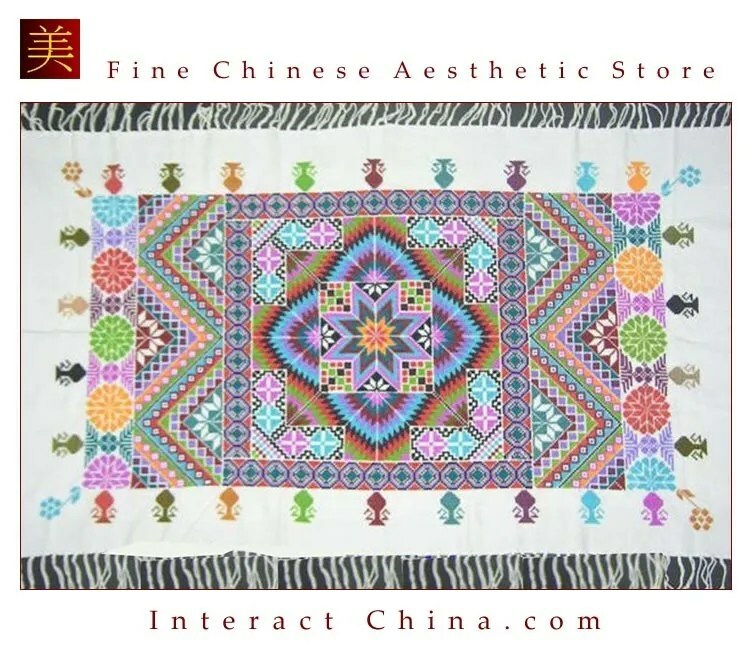 The choice of raw materials used in silk applique likewise shows great ingenuity and creativity. 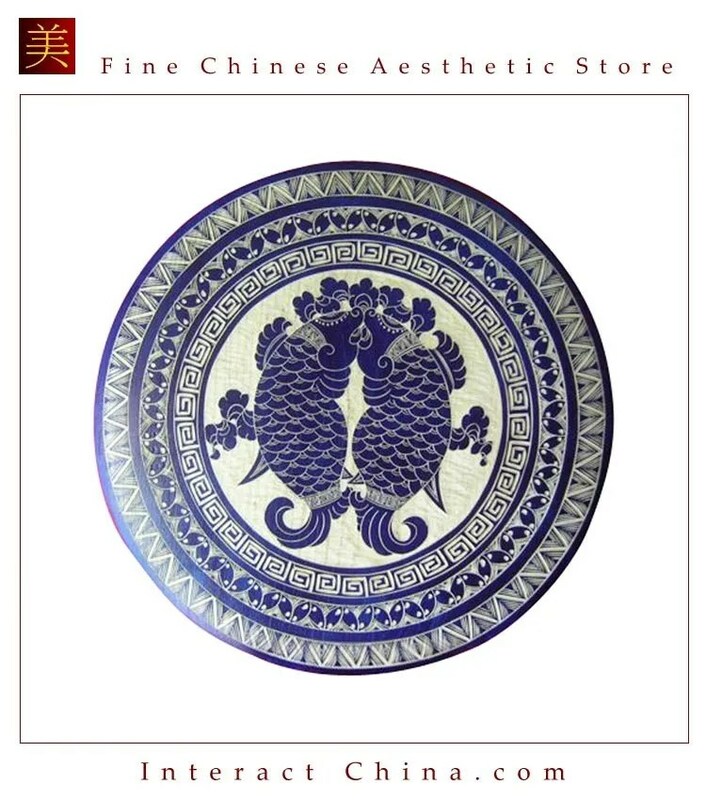 The main material for silk embroidery is called phoenix-tail yarn, since the color of this yarn is a gradient resembling the tail of a phoenix. The yarn is only produced in Beijing, and its beauty endures through time. Put one piece of tracing paper above the sample drawing and one piece of carbon paper with a paperboard below the sample drawing. Trace the sample drawing with a pencil. The drawing will be transferred onto the paperboard. Specify the areas that will be covered by another layer of fabrics with shadows. These marked areas keep their raw edges for further attachment to a new layer. Mark parts of the pattern with color-coding for different colored phoenix-tail yarns. Cut the paperboard along the black marking line. Make sure to leave the edges smooth. Spread glue evenly on paperboard and glue cotton to the paperboard. Shape the cotton along the edge of the paperboards. Cut phoenix-tail yarn to corresponding color codes along the shape of paperboard. Leave a margin of 3 to 5 millimeters. Spread glue on the edge of the phoenix-tail yarn and hide the margin at the back of the paperboards. Place the petals in order and spread glue on the seam. Press the seam flat to set the fabrics. Glue the piece to a suitable baseboard. Frame the work. It seems not so difficult after all, right? However, to make silk padded applique embroidery requires not only a pair of dexterous hands, but it also demands one to treat every detail and the position of layered fabrics with extreme care. Only in this way will the whole art piece be lively and vivid. Speaking of Chinese embroidery, what comes to your mind other than the famous four major styles? Do you know any other styles? 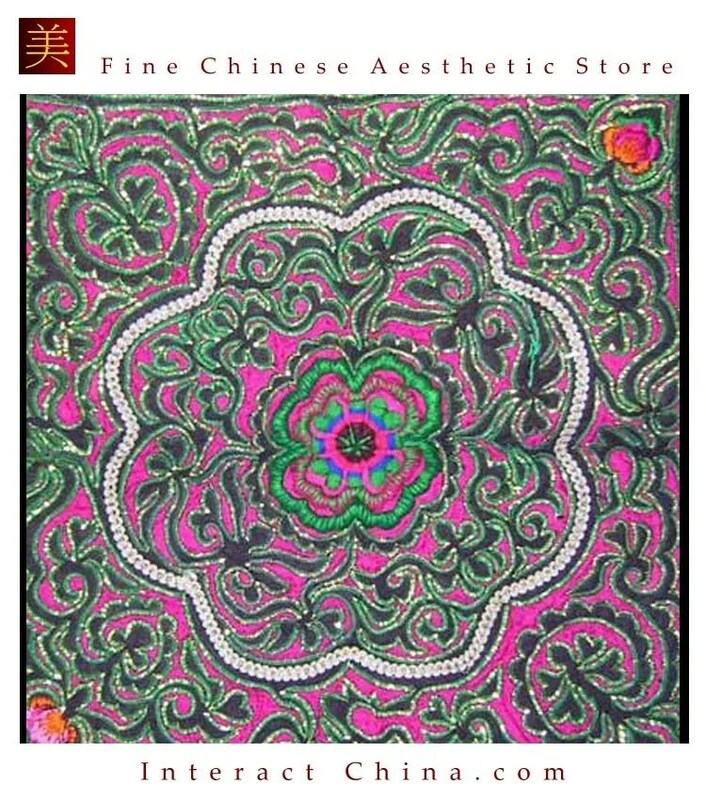 Today I want to introduce a special kind of Chinese embroidery – silk padded applique embroidery. It is made of little bits of cloth of different colors, and together they form a brush and ink painting. The finished work is a colorful and well-arranged collage. It is a combination of hard textures like woodcuts and gentle textures like fabrics. 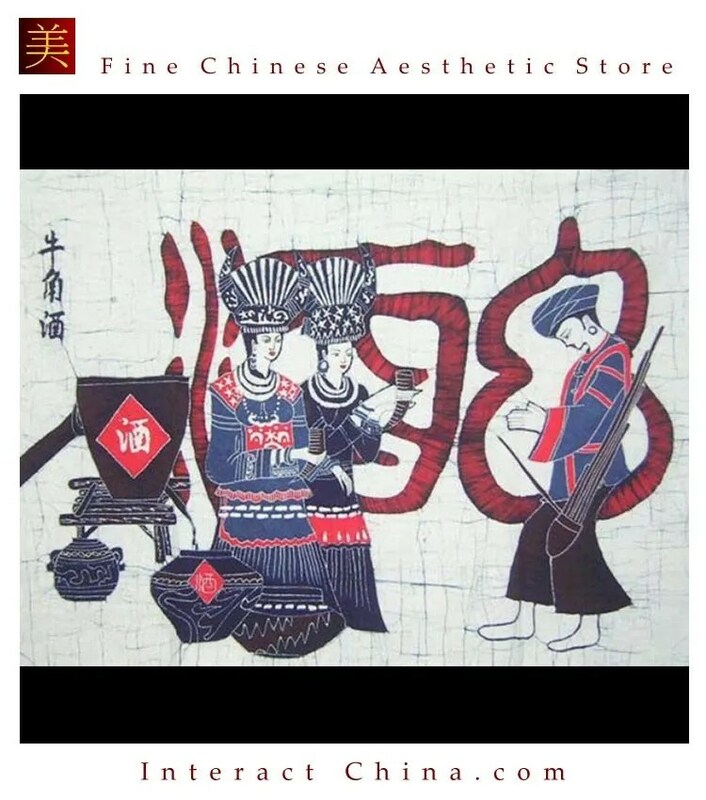 This silk embroidery has a long history; since it was initially produced only within the imperial palace, it was also called imperial embroidery of cloth bits or imperial padded applique (宫廷补绣gongtingbuxiu in Chinese). A more popular name among the people would be: patchwork drawing or patchwork flowers or simply jacquard. 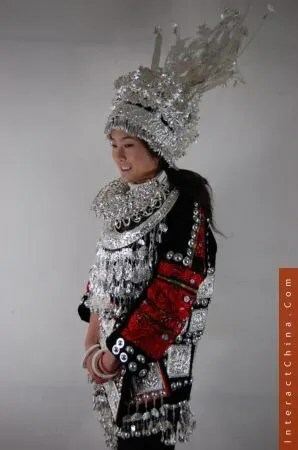 More than one thousand years ago in the Northern and Southern Dynasties (420-589), a rudimentary form of these techniques already existed in the Jingchu area (nowadays known as Hubei). For festive occasions, the local custom was to cut colorful silks into shapes of flowers and birds and put them up on screens or use them as headwear. 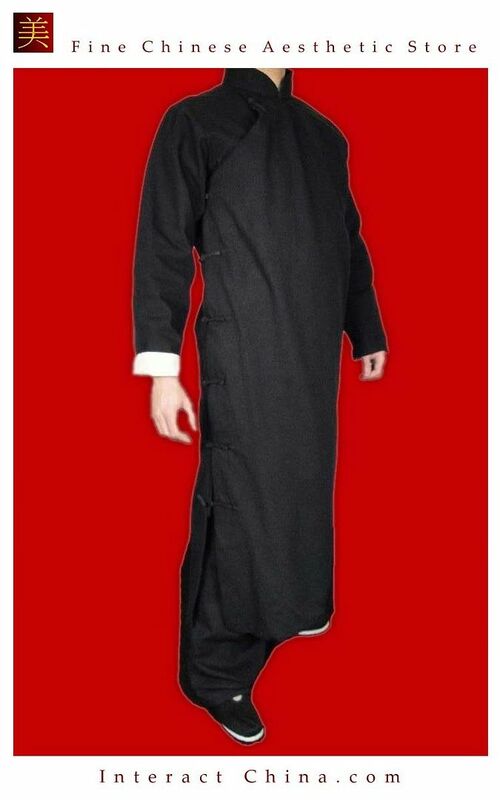 This tradition was fully developed in the Tang dynasty (618–907) and transformed into a unique skill called silk sticker (贴绢 tiejuan in Chinese) and padded applique (堆绫 duiling in Chinese). Silk sticker is a patchwork made of a single layer of spun silk pieces, while padded applique consists of patterns made from multiple layers of silk and other fabrics. The latter, padded applique, was popular among the common people. 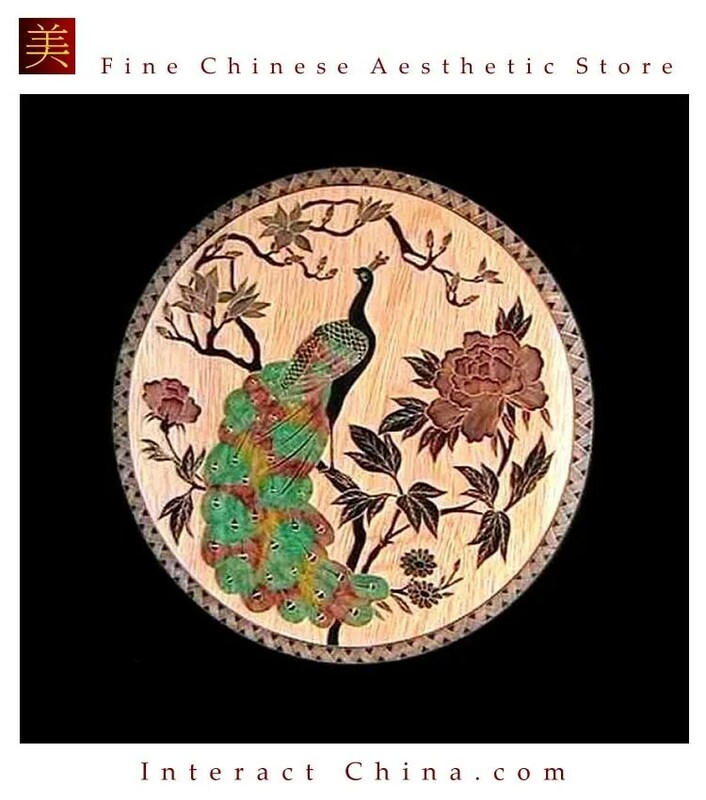 For example, It was common to embroider patterns of mandarin ducks, Ruyi jade figures ((a filler word to keep all words in the list plural)), five-colored flowers and birds. During the Qing dynasty, the skills and techniques of padded applique reached their peak. Silk and other fabrics were well-selected and exquisite, and workmanship was more than excellent. The whole production strove for perfection at all costs. Profile Pictures of Xiang Yu and Wei Bao in a Playbook, from Guangxu’s reign, Qing dynasty (1875-1908). This playbook has blue satin as the base and a patchwork of satin, silk, damask silk and paperboard on the top. Each layer is stuffed, so that the characters would look fuller. The paillette used on clothes and the red pompon on the crown also make the figures vivid and lively. 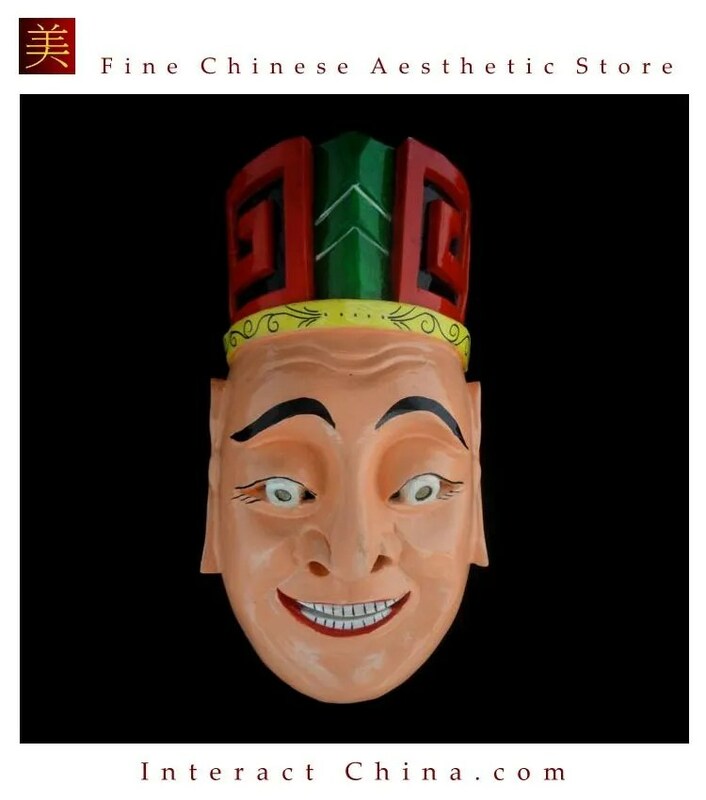 Their faces are painted with a brush to compensate for the inadequate artistic expression of padded applique. This playbook shows some novel techniques that are rare among padded applique embroideries as well as other embroidery works. 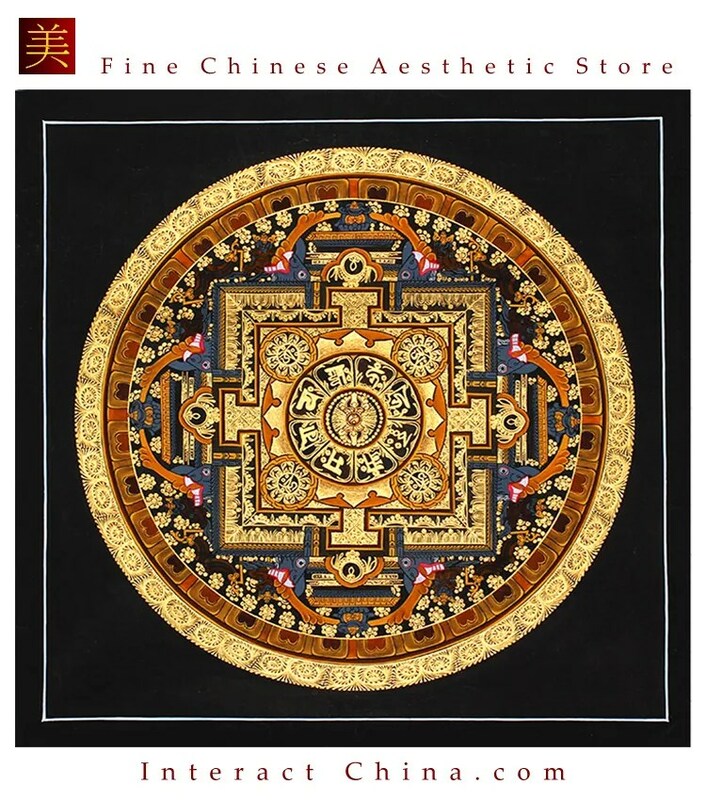 The padded applique technique spread to the Tibetan region and evolved into a new kind of Thangka. 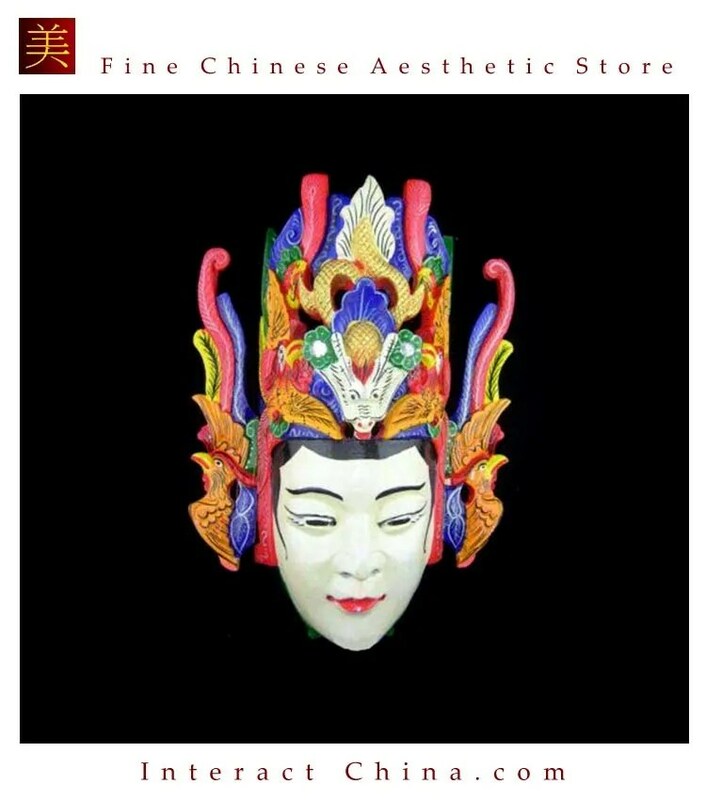 For example, among the collection at Yonghe Temple in Beijing, there is a piece called “Padded Applique of Green Tara,” which is listed as a class A national cultural heritage. 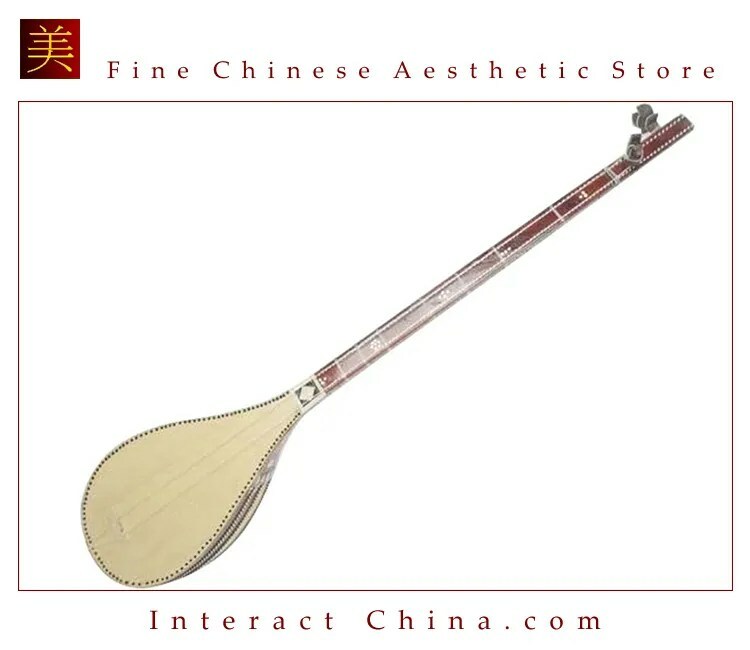 It was made by Emperor Qianlong’s mother with help from maids in the imperial palace, and now this Tangka is already more than 200 years old. Unfortunately, padded applique skills were lost for a period of time, and nobody knew how to make them for a long time. However, in the 1990s, after three years of careful studies, the Beijing Drawnwork Institute rediscovered this once-lost technique. 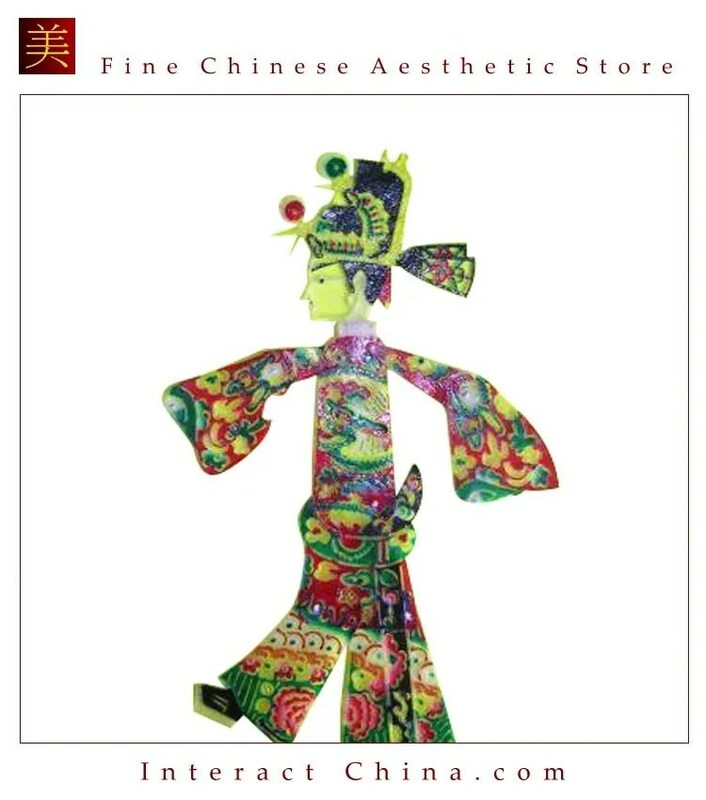 The padded applique skill now has transcended its previous boundaries; new variations of padded applique such as painting, embossment, silk-drawing, and tufting have been created. The silk embroidery produced shows meticulous work and patterns displaying the national features of China. From the collection of Imperial padded applique embroideries – “Ode to Peace.” It pictures a peony surrounded by peace doves. Through this traditional imperial embroidery, we get a glimpse into the endless charm of the Chinese culture. So, what if I told you there is a secret behind this embroidery skill of padded applique, the fate of which is full of ups and downs? Would you be curious to hear what it is? Or, perhaps you have seen it already? Well, I will unveil the secret to you in the next article! 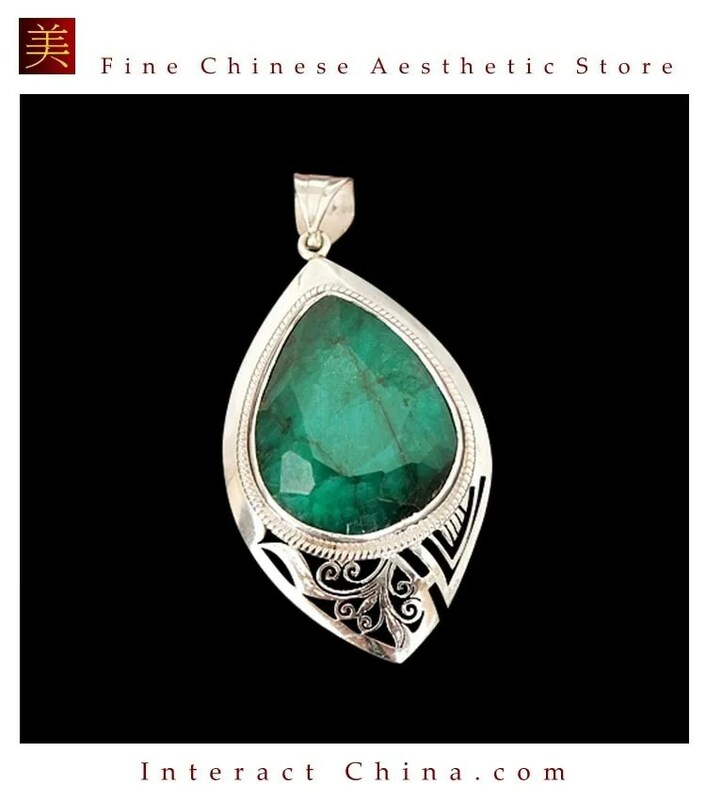 In recent years，oriental beauty has been increasingly favored by designers all over the world. Dudou is considered as one of the most classic elements on both domestic and international fashion show stages. In 2015, Taiwan’s leading lingerie brand, Wacoal, held a grand 45th Anniversary feast in Taipei (the capital of Taiwan). They made a special display of antique Dudou that have been collected over the years. Beginning with six sets of antique Dudous，the event then featured ten sets of creative Dudous. Wacoal used modern technology of papercut, 3D print, and LED to present ancient Dudous to audience. In the same year, a fashion designer brought Chinese style to the London Fashion Week. He combined traditional Chinese embroidery with western-style tailoring. This changed westerners’ impression of the Chinese Dudou. 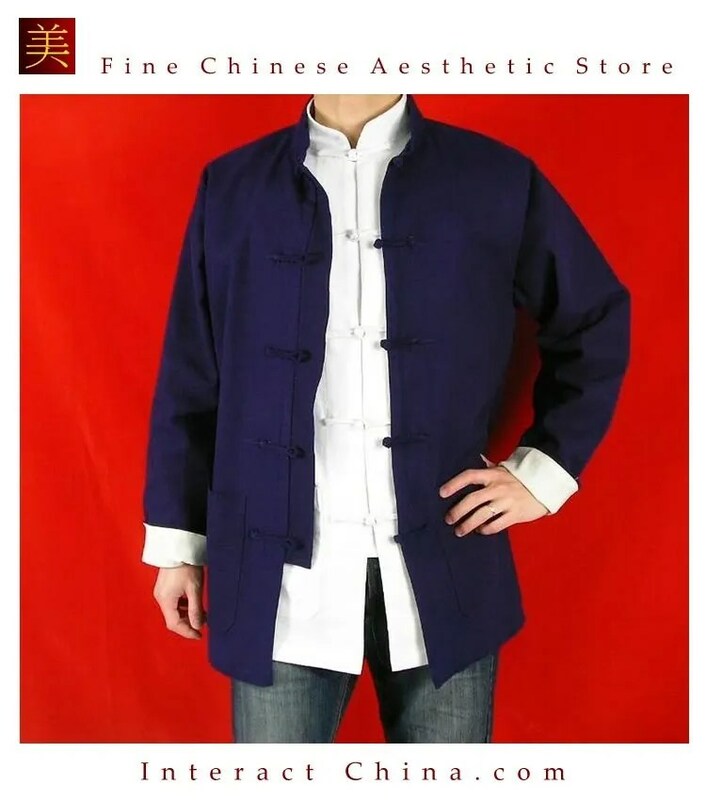 Styling it on a western male model showed another interpretation of the Chinese Dudou to the world. In the 2015 Shenzhen Fashion Week of Original Design, fashion designer Sun Haitao designed a collection of creative children’s clothing using the element of Dudou. Not only on the stage, but also in the deep alleys of Beijing there are Dudou brands. One example is Pillowbook, a lingerie brand studio. 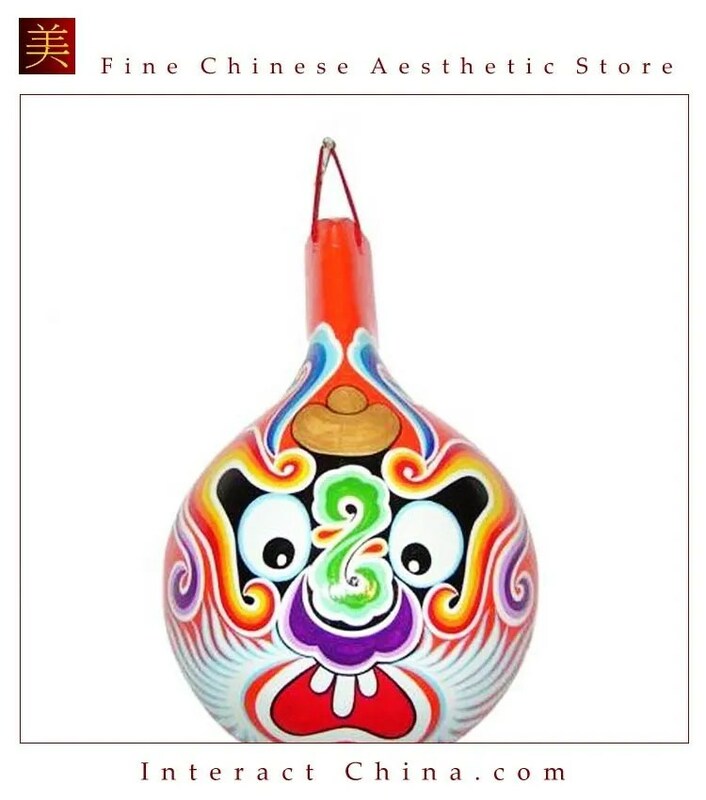 It differs from the traditional design of the souvenir shop which have large red embroidered pattern. Pillowbook uses simple lines. 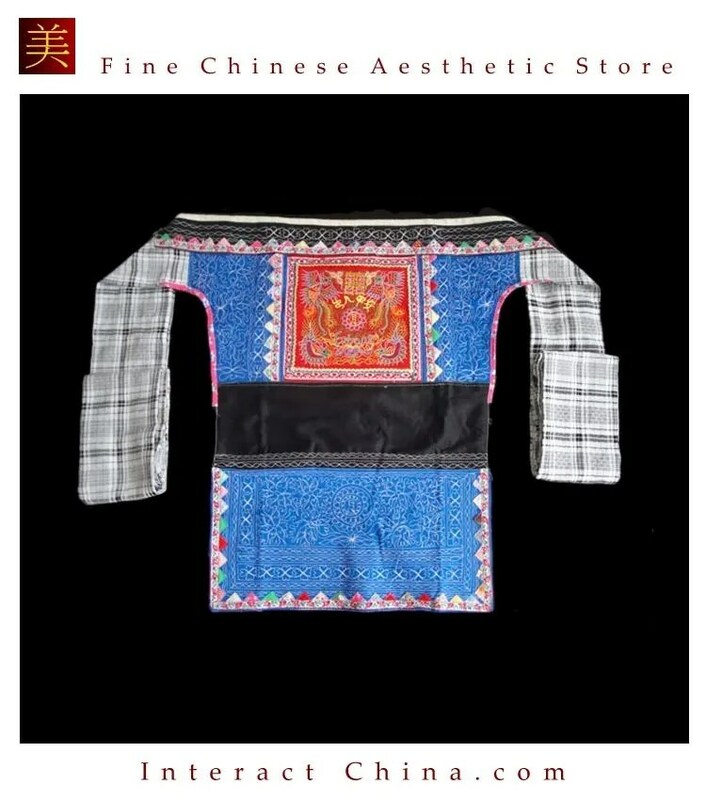 The use of traditional pane element on the neckline design shows us a different Chinese style. This brand creates their product exclusively with silk cloth. They pack their products with rice paper and there is a handwritten washing label and a rope tie. 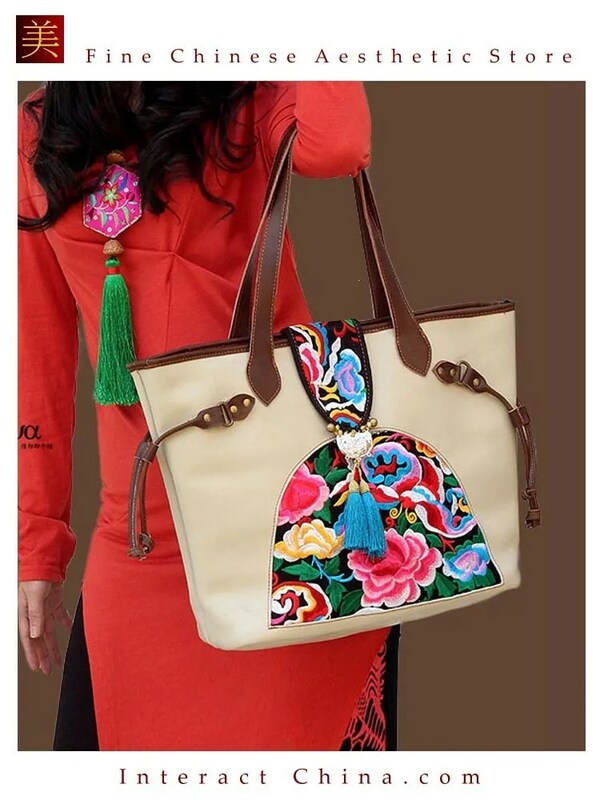 The Dudou of Pillowbook can be worn both inside and outside. The designer Irene looks forward to adding more modern elements to Dudou and integrating them naturally into daily life. Different people have different interpretations of traditional Chinese lingerie. 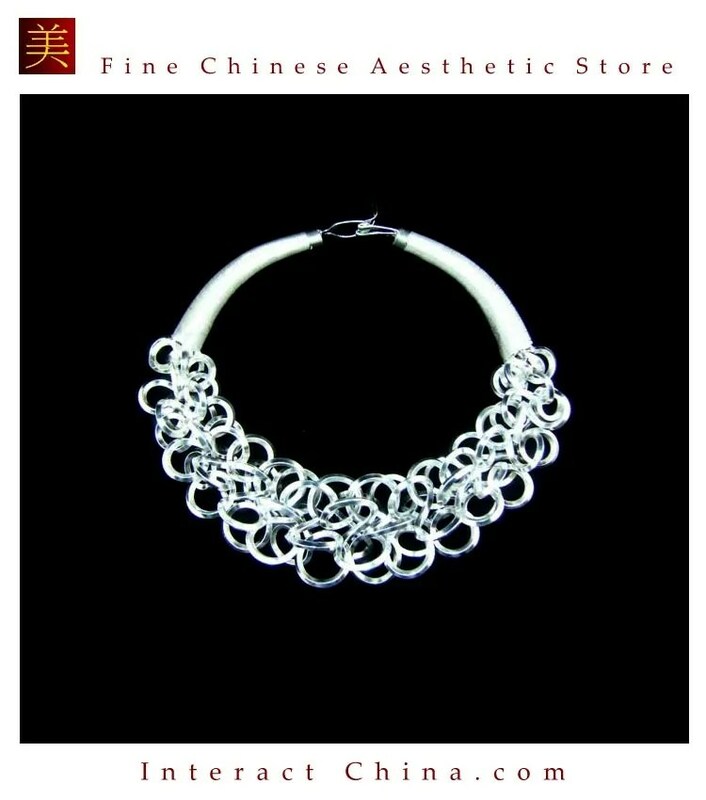 We hope that more and more people would be willing to spend time in appreciating those beautiful handcrafted products and Chinese culture. At the same time, it would be great if more and more designers give Dudou new interpretations to preserve and spread the artistic and skillful design over the world. A variety of techniques are used in the decoration of traditional Chinese women’s lingerie such as embroidery, inlay, appliqué, patch and more. Those techniques have distinctive processes and fine degree. “Embroidery” is divided into four major categories, satin stitch, coil stitch, hand sewn stitch, and braid stitch. Satin stitch is also called painting embroidery. The embroidery patterns are mainly in small size, and the stitches are parallel and arranged neatly. It was used more common in the Song and Yuan dynasties. 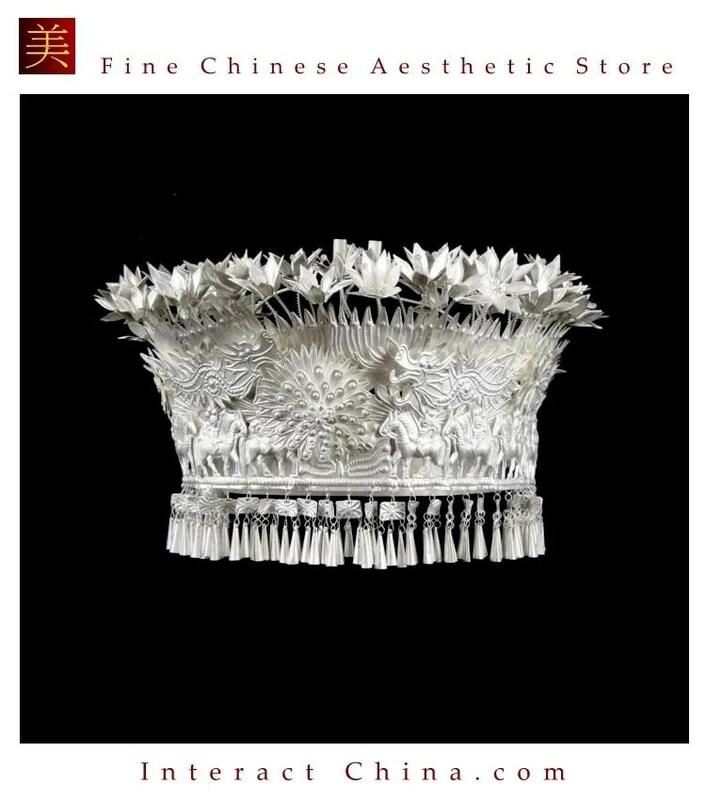 Among all kinds of coil stitches, seed stitch is the most distinctive one. Though the stitching process is simple, it produces a solid aesthetic effect. Hand sewn stitches are hand sewn sequins and appliqués used to decorate lady lingerie. Braid stitch was not used very much in traditional Chinese lingerie. 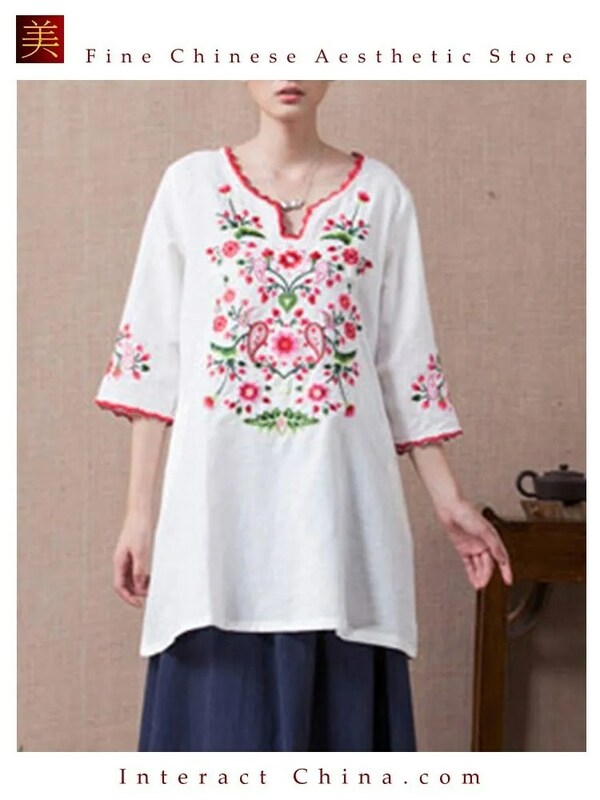 In general, the ancient people in China used “cross-stitch embroidery”. The ancient people of China were good at decorating lingerie with golden line embroidery. “Inlay” refers to the use of a decorative strip of cloth ／lace ／embroidery sewn on the edge of underwear to form a decoration. This brocade (a type of tightly woven fabric) shows the idea of trimming the edge with exquisite silk. “Trimming”/ “rolling off” is the process of wrapping the edges with cloth. “Appliqué” is a quick stitching decoration technique, an integration of embroidery and other processes to form a flat or semi perspective effect. 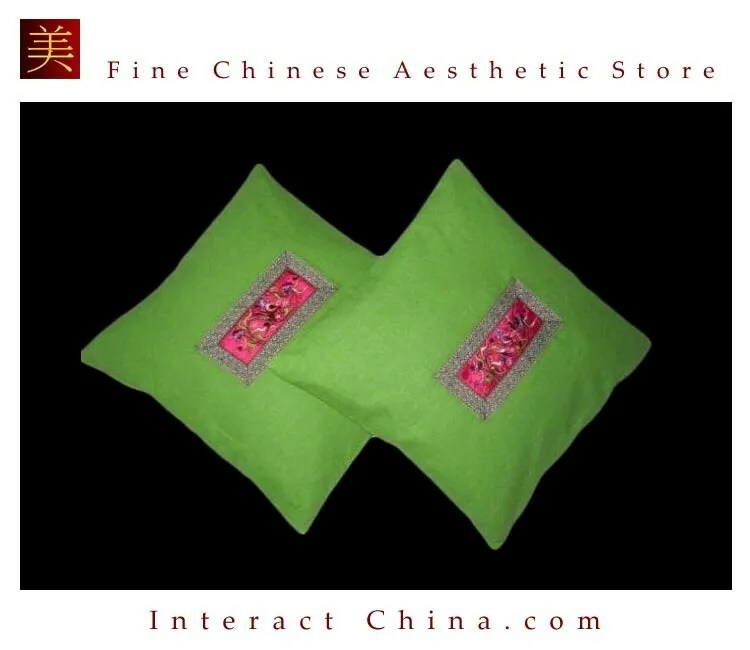 This Dudou is appliquéd with pre-cut patterns and decorated with satin stitch. The “patching” is a process of sewing different pieces of cloth together. It has the meaning of “mending the deficiency” and is the icing on the cake for the Dudou. Exquisite craftsmanship is also reflected in the arrangement of layers and the refinement of the decorations. Decorating the connected parts with frog buttons make the underwear more attractive. 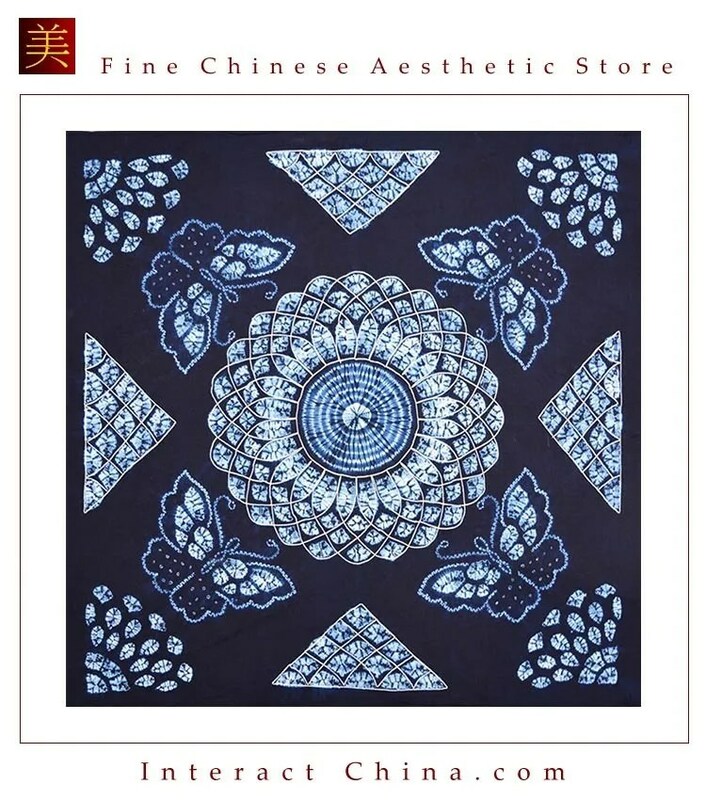 The garment technique of Chinese traditional underwear is in line with the concept of “harmony between man and nature” and, in particular, the “round sky and square earth” theory. The lower part of the garment is “the circle shape in the front and the square shape in the back”. 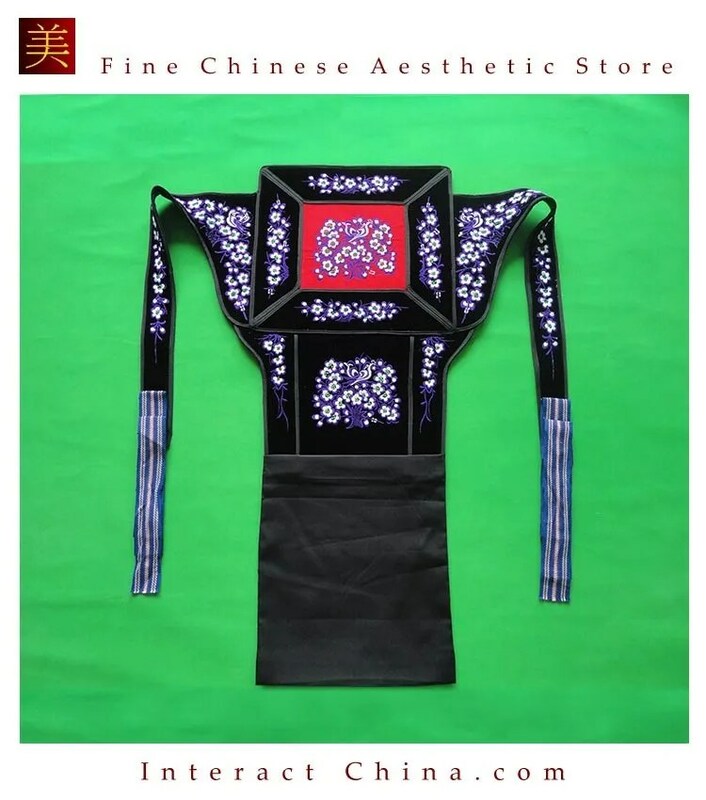 Putting the pattern of the Ruyi and butterfly in front of the chest is a metaphor of “lucky arrival ”. The ancient Chinese people also use batik, hand-painting and other techniques to enrich the style and effect of women lingerie. They not only use silk, brocade and other premium quality fabric, they also use homespun cotton, cambric and fine bamboo to create lingerie. To connect each part with bead is also one of the most ingenious techniques. The spinning technique weaves and wraps fabric into different kinds of tassels. This is very imaginative. The beautiful lingerie was made simply by a small piece of cloth and with different stitching methods. The lingerie had infinite possibilities of design, full of imagination and creativity. The wisdom of ancient people in China has amazed the world! The craft of multi-layer-sole cloth shoes was a remarkable achievement in Chinese shoe making history, carrying tremendous history, culture and craft value. 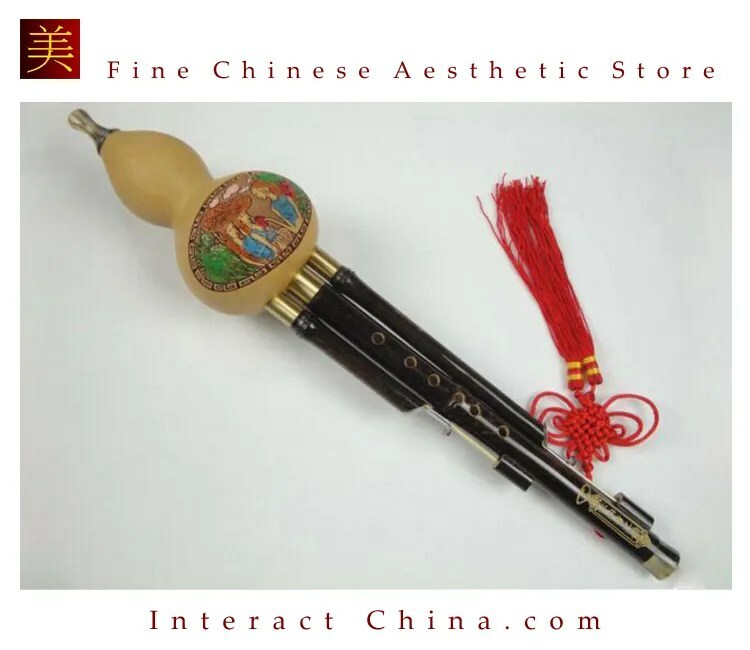 It has been listed on China’s second intangible cultural heritage list since 2008. The shoe sole is made of many layers of cloth stitched together under fine processes. The earliest shoes with sewn soles began in the Zhou dynasty. According to archeological research, these stitched soles were first used in the army because of the requirement for abrasion-resistant shoes. 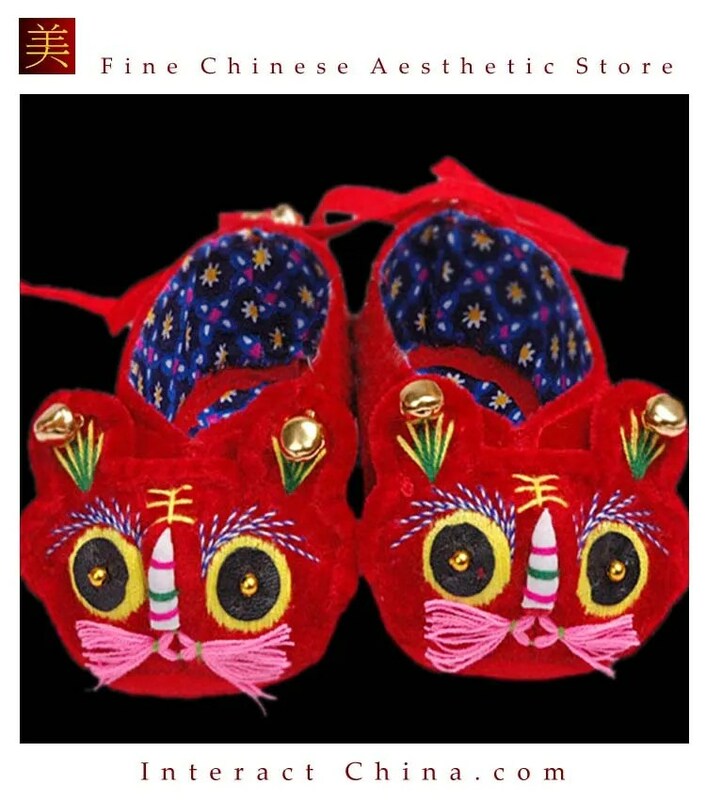 Then, these shoes with sewn soles become popular among the public. This was the first time that friction theory was used in shoe design in China. In the Qing dynasty, sewn sole shoes evolved into multi-layer-sole shoes which is famous around the world. There is a set of strict procedures for the making of multi-layer-sole shoes. The shoes are good at heat releasing in summer, and can keep feet warm in winter. The modern multi-layer-sole shoes are quite different from the traditional ones. Whether in design or in material, modern multi-layer shoes align with the current aesthetic trend of returning to nature.